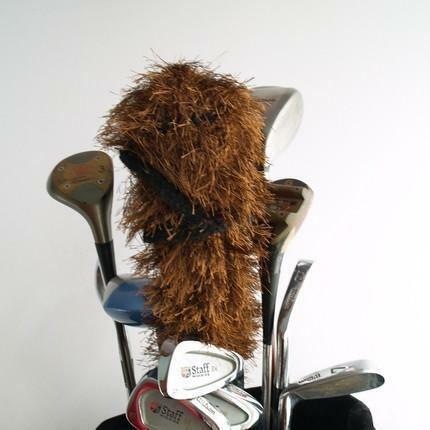 Golf is definitely the most hyped sport with its aura of fun surrounding every teenager as well as adults. 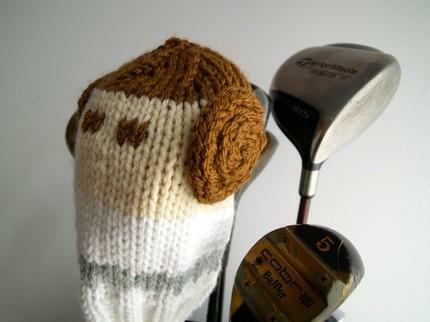 So as the producers and makers of golf accessories make advances in making better clubs, its time for some whacky and handy covers, with Star Wars theme! 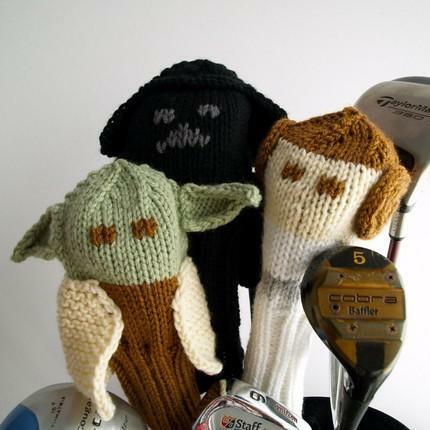 Well, check out the hand knitted ones that are really adorable and long-lasting. Etsy is at the best once again! 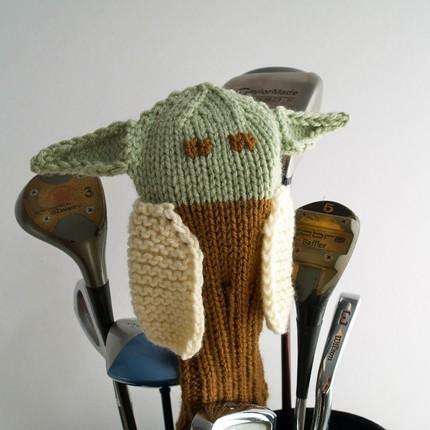 So with Etsy’s many amazing concepts, they bring one more for all the golf lovers and Star Wars fans, with the different textured and multi-colored covers that form the shape of your favorite star wars characters, with very cute looks. There is a bit of choice for your selection as you can get these covers in various designs. Being a geek, are you on a lookout for good quality material, then you’d be glad to know these covers are made from acrylic worsted weight yarn with cool shades. While you make your decision to get one of these, you could scan through the patterns mailed to you within 24 hours of payment, for just $15. 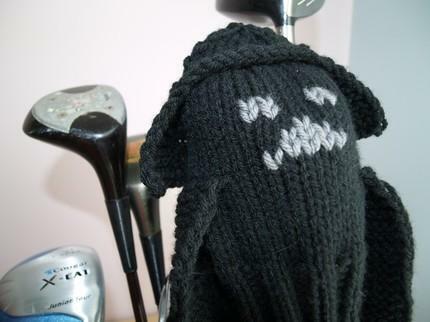 Actually, these amazing concepts bring in a lot of humor to the game compared to the traditional golf club covers, by giving you an exciting selection of your favorite character. You could also demand the hard copies for your designs. If you are a star wars fan, then also check out the Star Wars Yoda Backlit Coffee Table or the Imperial Walker Bunk Bed.